Pam’s athletic prowess was evident throughout her high school career. A two sport star, she earned four letters in tennis and four in basketball. As a junior she and a tennis teammate won the State Doubles Championship in Class AAA. Her last two years of basketball at Waycross High were phenomenal as the Bulldogettes compiled a record of 39-1. The only loss her junior year, a 17-1 season was in the state playoffs. She led the team to a 22-0 season in 1974 culminating in the State AAA Championship. She was an All-State selection in 1974 and won a basketball scholarship to Georgia Southern College. Pam’s enviable basketball accomplishments continued in college. 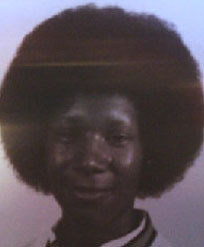 A four year letter winner for the Lady Eagles basketball team 1974-1978), she joined the women’s basketball program in only its second year of existence and immediately became the top player. She helped the squad to a 47-46 record over four seasons, including wins over Georgia, Auburn, Florida, Alabama and Florida State. She led the team in scoring each year and topped the team in rebounding as a sophomore (10.0 per game). She established school records for nearly every category including points in a season (44) in 1974-75 and career (1,533), rebounds in a game (25 vs. Berry in 1975) and season (386 in 1976-77). She ranks very high on the all time scoring chart. As of 1999, she still held the school mark for rebounding average in a season (17.5 in 1976-77). In 1997, Pam was inducted into the Georgia Southern Athletic Hall of Fame in recognition of her outstanding career. Pam graduated from Georgia Southern in 1978 with a Bachelor of Science in Public Recreation.